When: Tuesday, April 5, 2016. Polls are open from 7am - 8pm. 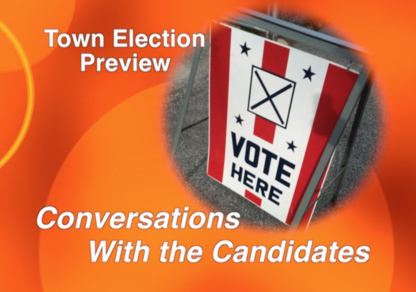 • Selectmen: There are two candidates on the ballot running for one seat: Thomas J. Recupero (incumbent) and Cynthia Walsh. Peter Brown has announced he is running a write-in campaign. • School Committee: There are three candidates running for two seats: Anita Hill (incumbent), Joe McDonough and Dr. Erdem Ural. Pat MacNeil had turned in papers to run, but has withdrawn as a candidate. Also on the Ballot: Moderator (Howard Hansen, uncontested), Redevelopment Authority (Lou Gitto, uncontested) and Town Meeting representatives by precinct.